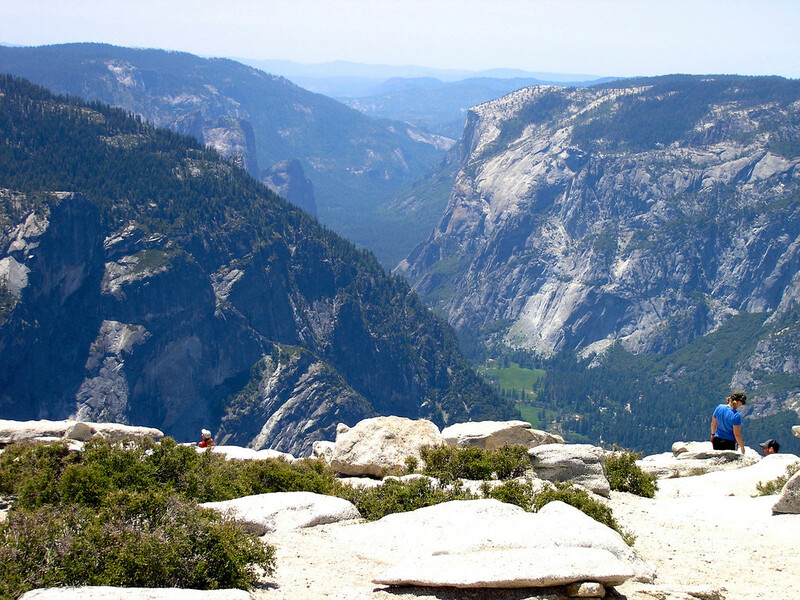 One of the greatest things about growing up in California has been my physical proximity to Yosemite National Park. 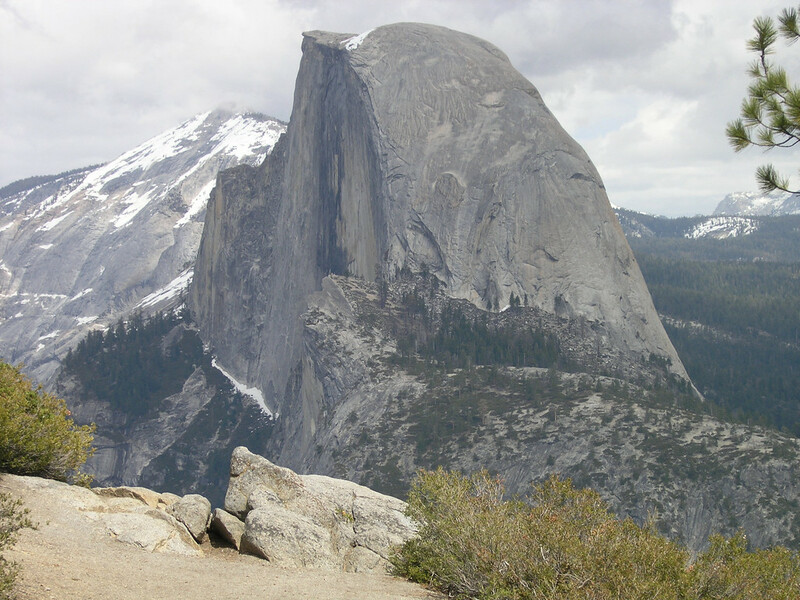 I first visited Yosemite, a UNESCO World Heritage Site, at age nine with my sister and parents. I was hooked for life by the enormity, the sheer magnitude of its beauty. Back then, a nightly occurrence was to push a burning bonfire off the edge of Glacier Point and create the 3,000 foot Yosemite Fire Fall. Visitors, my family included, would watch in wonder from Camp Curry. The Fire Fall was discontinued in 1968 out of environmental considerations (what were they thinking. 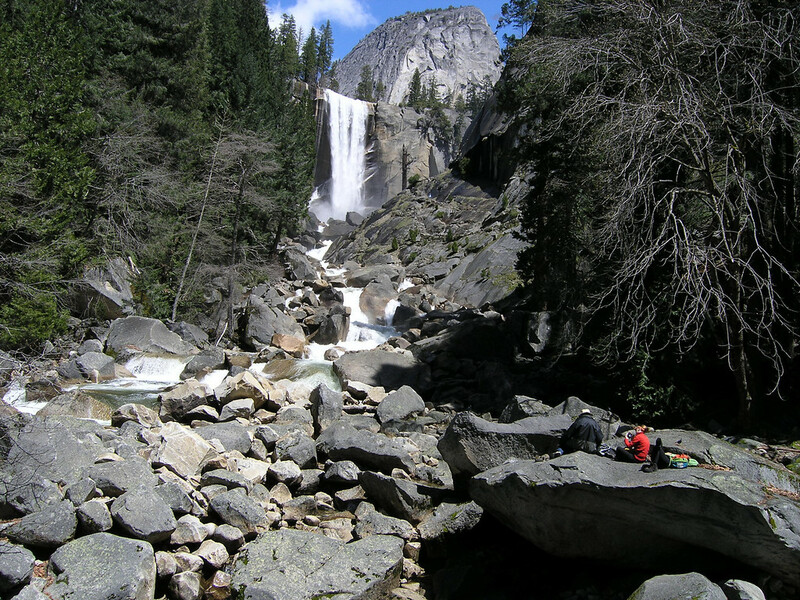 Although it made a lasting impression, that spectacle was subjugated in this young boy’s mind by the natural physical beauty of the Yosemite Valley with its soaring granite walls and waterfalls on a scale hard to imagine. Since then I have returned to Yosemite over 40 times and at all seasons of the year. 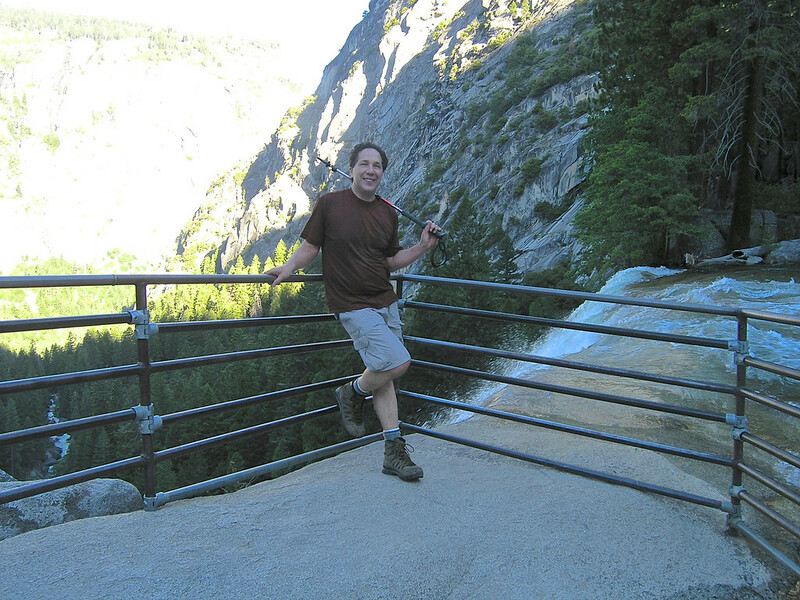 I have hiked every major trail into and out of the valley as well as many in the High Sierra Wilderness. 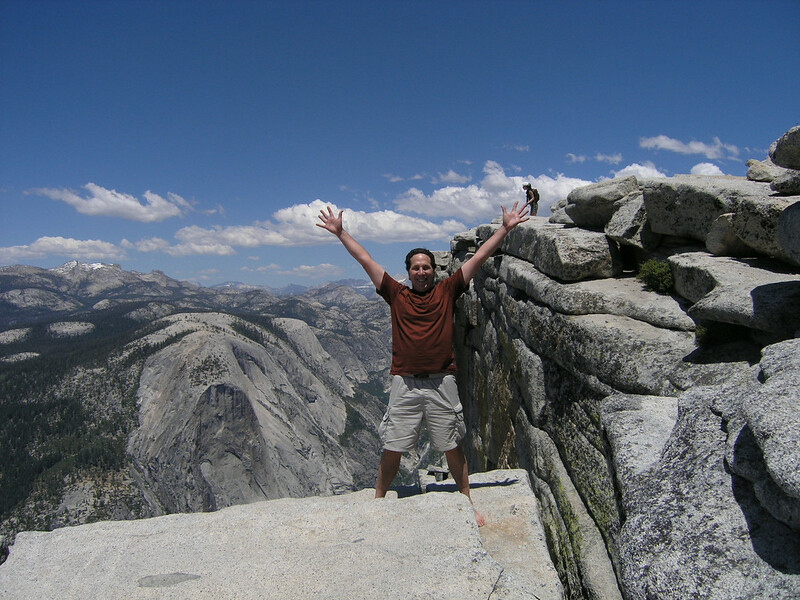 I have climbed to the top of Yosemite Falls on three separate occasions and have hiked the Four Mile Trail straight to the top of Glacier Point. 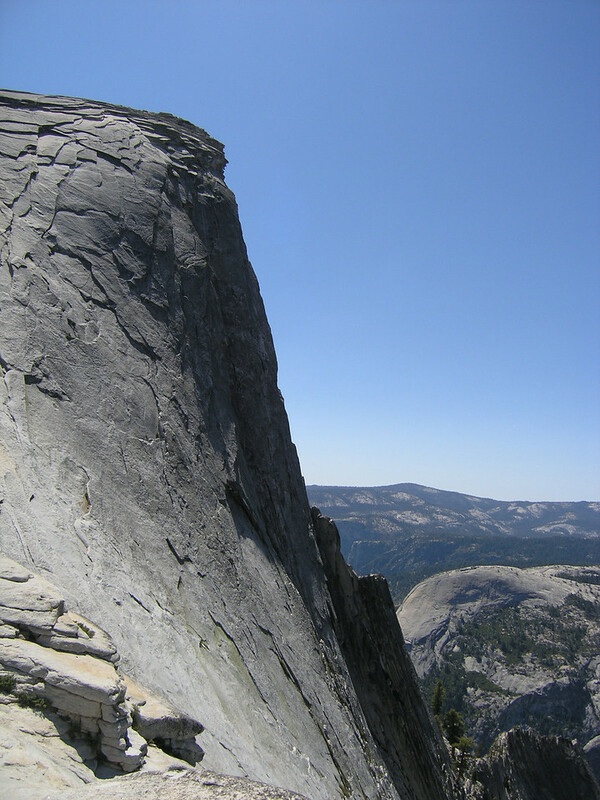 One goal that had alluded me all those years was to hike to the very top of Half Dome, a grueling 16 mile trek. So when I first quit my job in 2009 to travel, I decided the time had come. A minimalist and deliberate load for sure. Arriving in Yosemite Valley, I booked a tent cabin in Camp Curry for the night. I was up at 4:30 am. After shoveling some protein into my mouth and hydrating, I was on the path to the Happy Isle Trailhead by 5:00 am. From here, I will let the photos tell the story. As this was a personal best for me, please excuse the overindulgence of having more photos with me in them than usual. 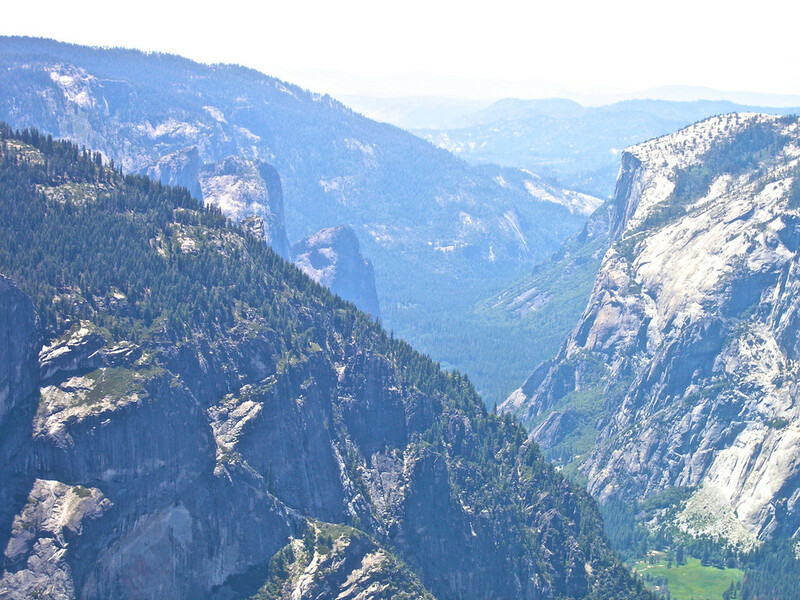 Yosemite is a big place in every sense of the word. I have used the largest photo size I could fit into this website to help capture the grandeur of this place. Turning away from the falls, I continue to climb for several hours. Passing the first spring which is easy to miss, I filter and refill my Camelback with another three liters of water. It is fairly hot and dry. Finally I see my first glimpse of the backside of Half Dome. 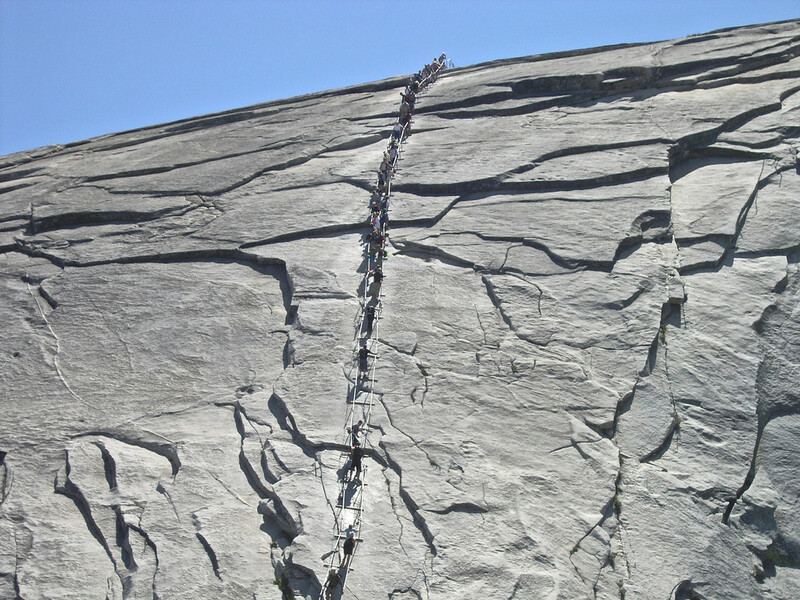 Another hour of hot steep exhausting climbing up the switchbacks of Half Dome’s base ensues. It is now mid-afternoon and it has seemingly taken me a long time to get this far. Then I come to the cables which I will climb almost vertically for 400 feet to the summit. Just when you think it can’t get any harder it does. The final ascent is slow and aerobically challenging in the extreme. And then, all of a sudden I am at the summit!! And then, all of a sudden I am at the summit!! 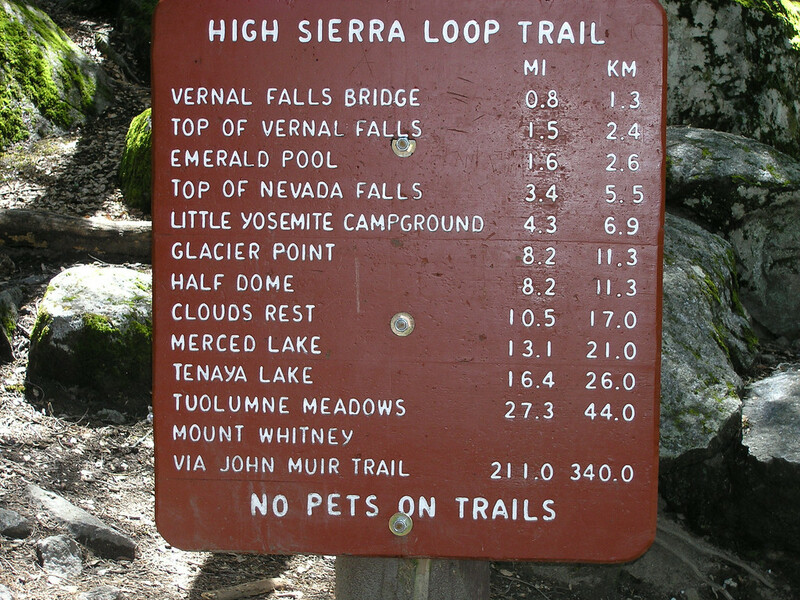 The top has a large fairly flat surface where fellow hikers are resting and enjoying the 360° views of the Sierra Nevada and the valley floor almost 5,000 feet straight down. I do the same. I remained at the summit only one hour. I certainly could have stayed longer but I had slightly over eight miles to hike back. With a descent of 4,800 feet, I hoped to make it before dark (around 8:00 pm). As it turned out my last hour was in blackness with only my headlamp to view the trail. 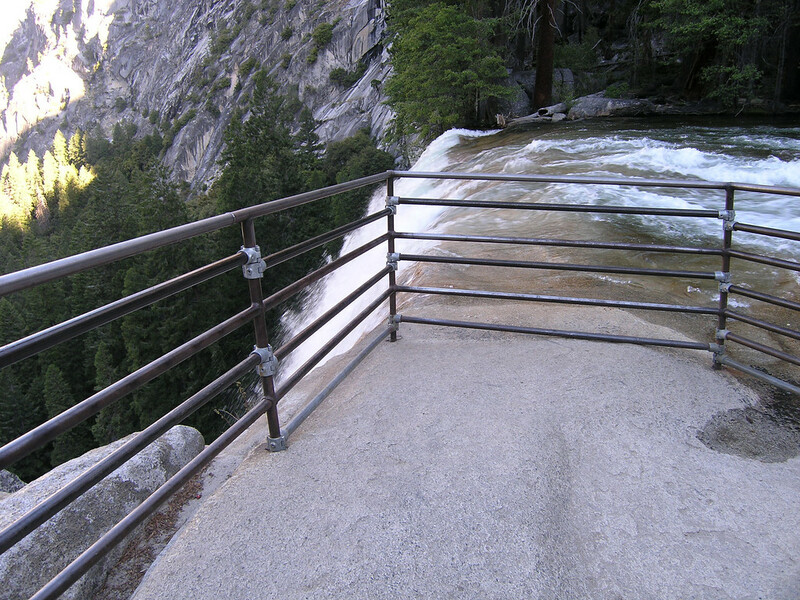 Fortunately, the trail below Vernal Falls is well maintained and even paved in places. I arrived at Camp Curry just after 9:00 pm. From there a short hop to the Yosemite Lodge where I had booked a room for night two. A meal was followed by a long and deep sleep. 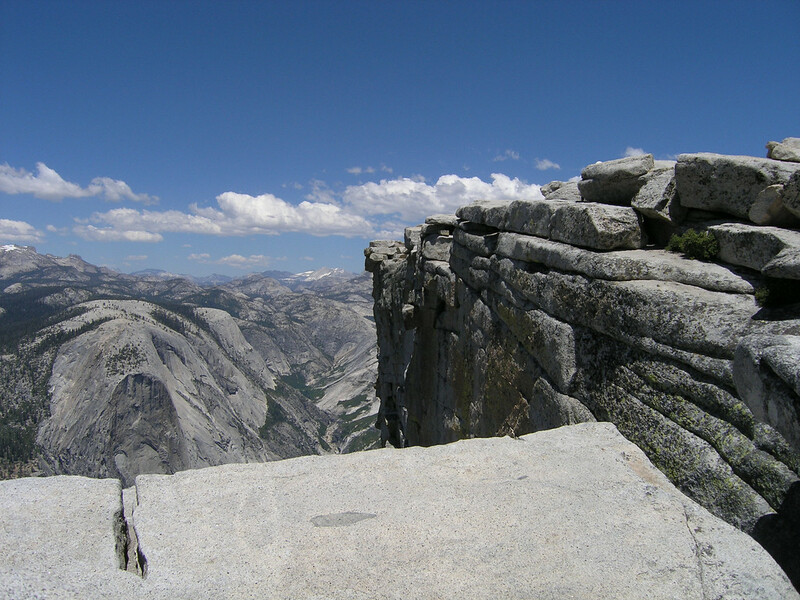 In 2011, NPS initiated a permit requirement to summit Half Dome. Permits must be obtained in advance and are checked. Penalties for noncompliance are severe. Be prepared. 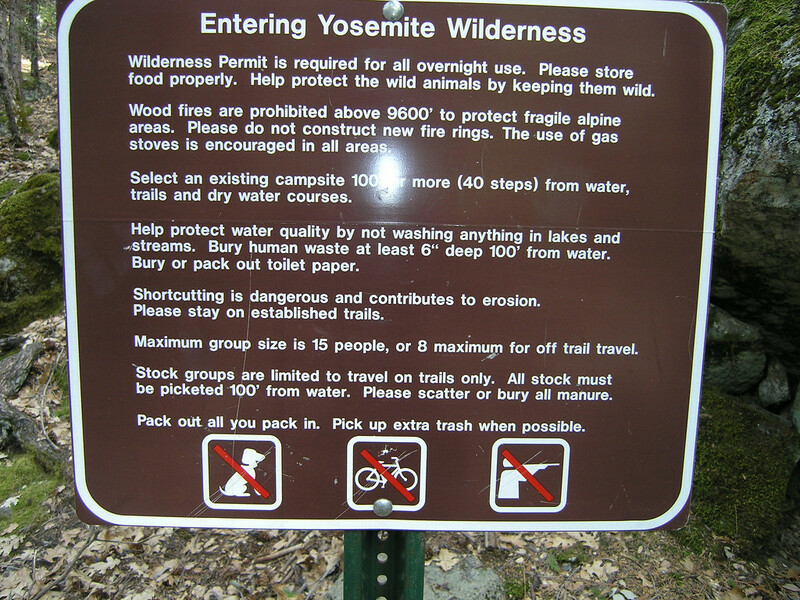 Every summer park rangers rescue and evacuate many ‘hikers’ from this trail. In addition to embarrassment, they are later surprised when they receive a large bill from Search and Rescue. However, a few hundred hikers complete this trek every year as well. July and August are the busiest and hottest months. I went in June which was fairly hot, very dry, and not quite as crowded. I did not see too many hikers until I got to the cables. Thank you so much for sharing your adventures and taking so many pictures so that we can experience them through you. My pleasure Matthew. Thanks for visiting. That is a GREAT story Susan. I am LMAO right now: with you, not at you. I find downhill to often be more challenging than up, particularly when it is very steep and stays that way for awhile. 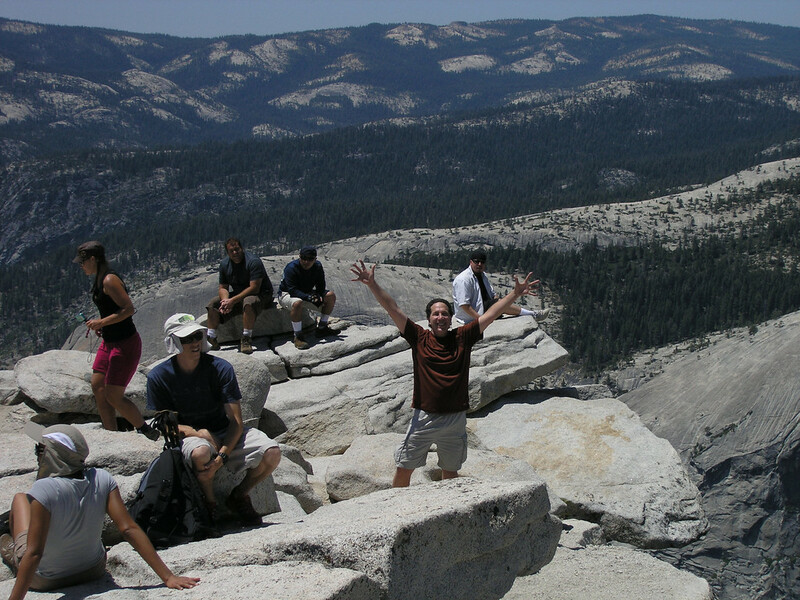 The Four Mile Trail from Glacier Point to the Valley qualifies on all counts big time. The older I get, the harder the down is on my knees which is why I use the trekking poles now. I carry them going up and on relatively flat terrain; but I use them consistently on the downhill the last few years. Ok now I am really pathetic. We didn’t go down the 4 mile trail. 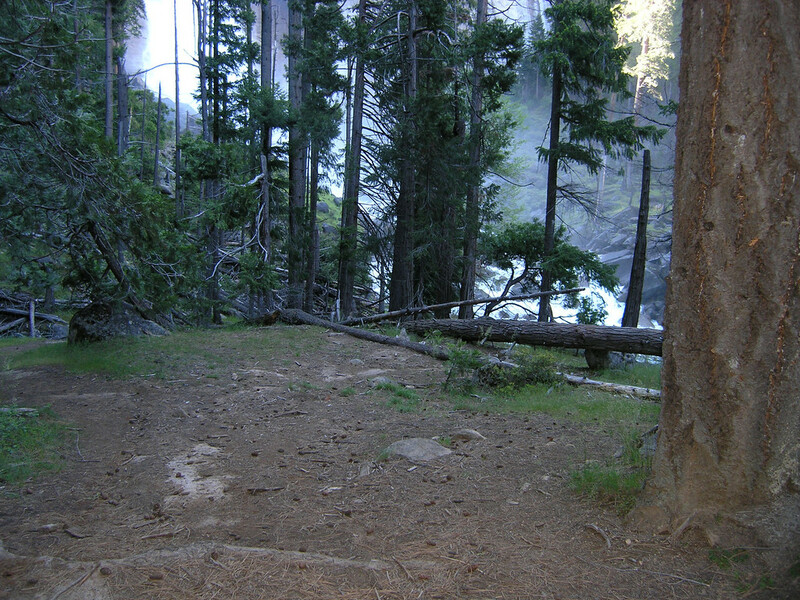 We went via upper and lower mist trail. 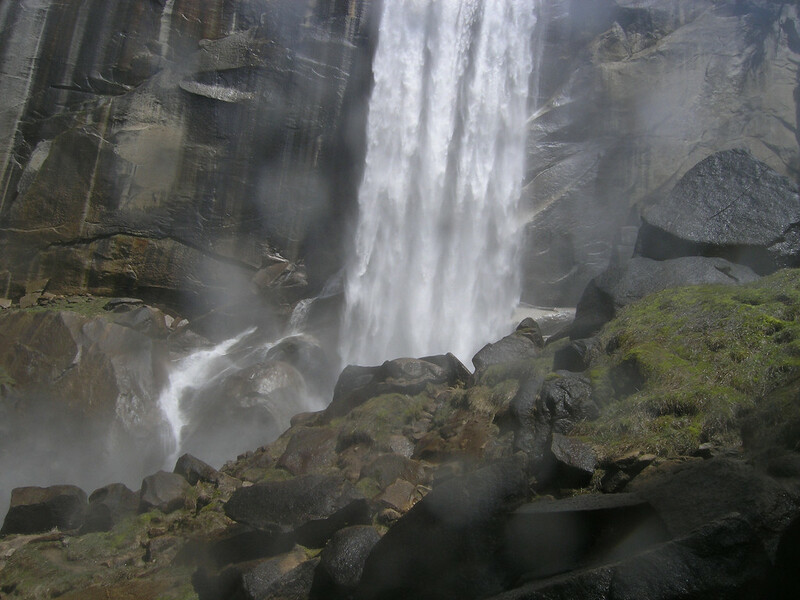 My legs gave out on me at the top of Vernal Falls practically had to be carried the rest of the way. I pretty much stick to flat land now and have to use my trekking poles on the sidewalk in Hollywood!!! I wouldn’t feel too badly Susan. You still had to descend the same altitude only taking more miles to do so. Many people do not realize that these hikes require conditioning and preparedness. That ladder climb looks scary. But it looks worth it. For me it was more exhausting and breathless than scary Stephanie. That may have helped as I was too focused making it to the next rung to look down very much. Sam, I never get tired of Yosemite. There is still a lot for me to explore there.